Amou Haji, 80 believes that “cleanliness brings him sickness.” For that reason, he hasn’t bathed in the past 60 years, and he’s unofficially called the “dirtiest man in the world”. 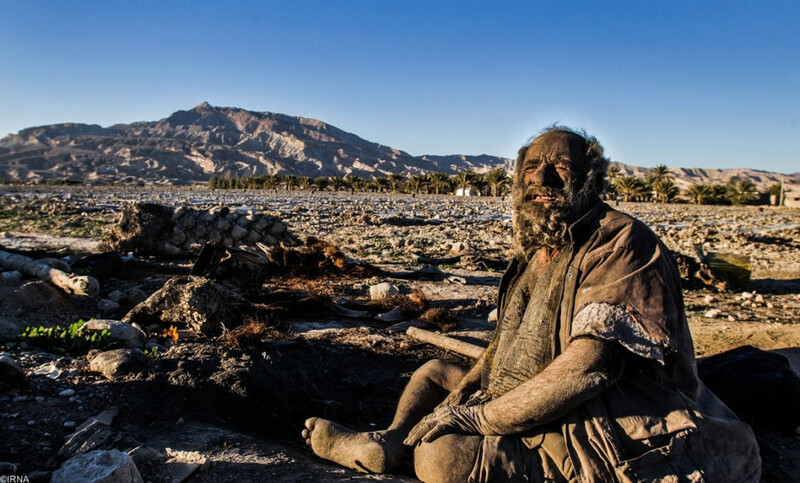 He lives in isolation in Dejgah village, in the Southern Iranian province of Fars. He hates contact with wateer, and even the suggestion of a bath makes him angry. Apparently, as a young man, he was in love with a woman, but as she rejected him, he chose a life of isolation. 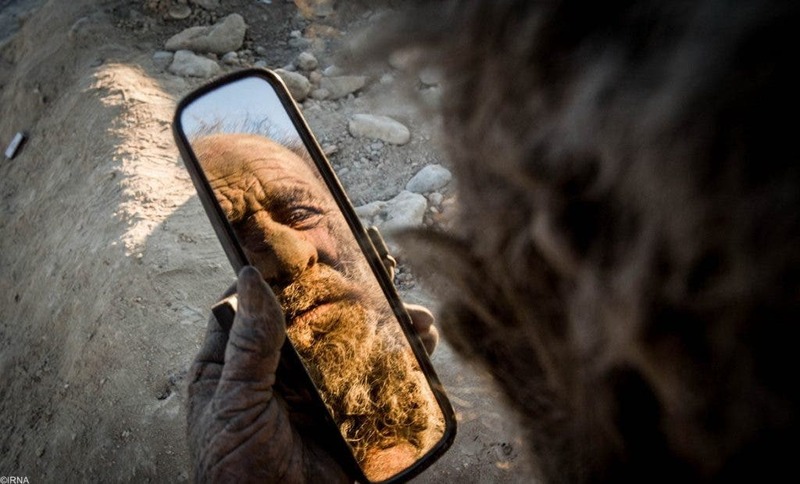 Haji reportedly lives in isolation in Dejgah village, in the Southern Iranian province of Fars. He dislikes fresh and clean food as much as he dislikes water – his preferred food is rotted porcupine meat. His house is a grave-like hole in the ground. 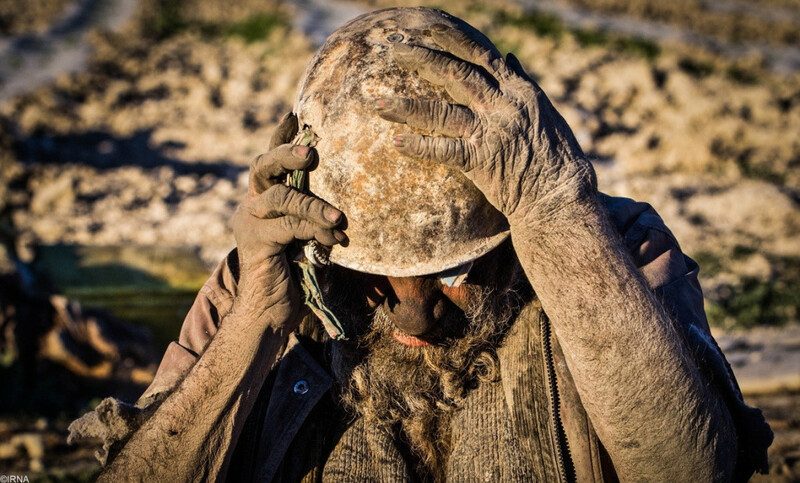 He drinks 4-6 liters of water each day (for health reasons, he claims) but only from his dirty, rusty old oil can. 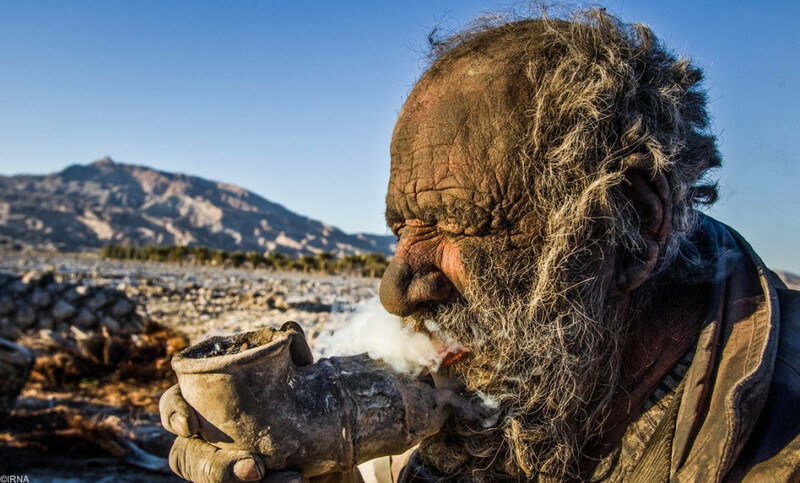 He grooms his hair by burning it every now and then and fills his smoking pipe with animal feces instead of tobacco. An old war helmet keeps his head warm during the winter. You could argue that the man is mentally ill – that may very well be true, but it’s not a certainty. 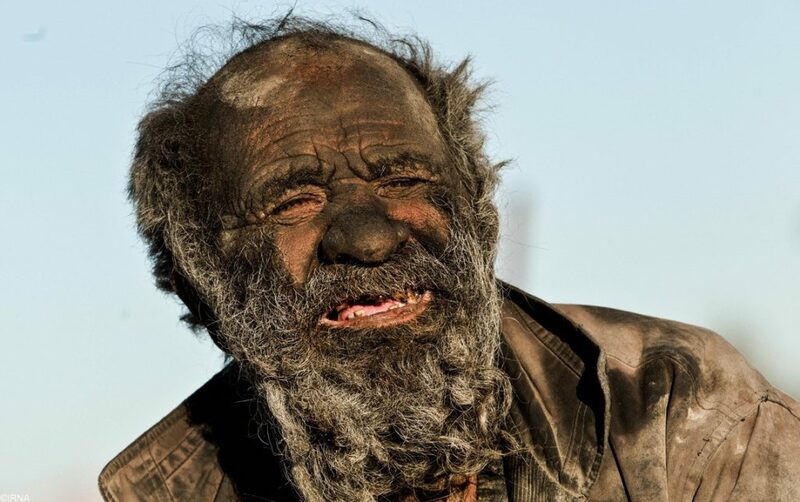 He sleeps on the ground, he hasn’t washed in 60 years, he smokes doodoo and eats rotten meat, but he’s 80! He’s 80, he’s happy, and he’s apparently healthy, for a man his age. So what gives, society? Is this man a fantastic exception, or is this something we’re missing out on? 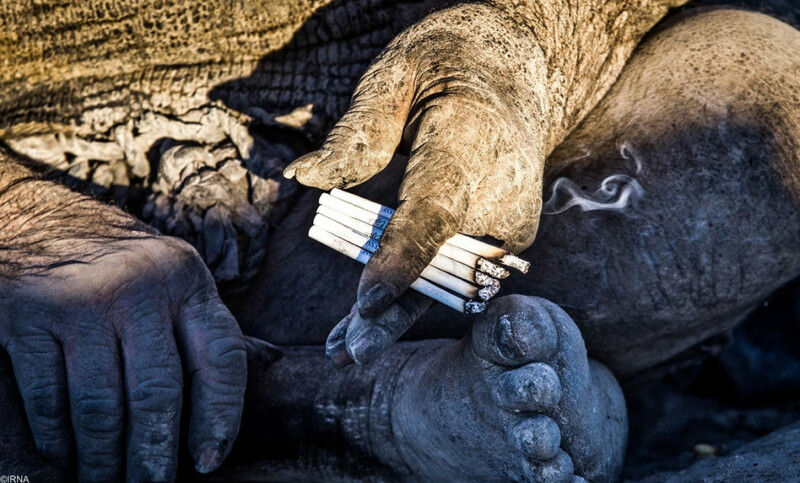 He also likes smoking normal cigarettes sometimes – but more than one at a time. I really think psychological studies conducted on people living extremely isolated lives would be interesting, and would reveal valuable information about parts of our mind we know little about. Of course, the logistic problems and difficulties of doing this are evident. I am in no way trying to ridicule him or his lifestyle – if anything, I think there is something to learn from his story. First of all – Happiness is a state of mind. Second of all, there are still many things we don’t understand about general human health – because he definitely shouldn’t be as healthy as he is. Third of all, some people live in (almost) total isolation – and we should all learn from their stories. This articles was based on information from the Tehran Times.